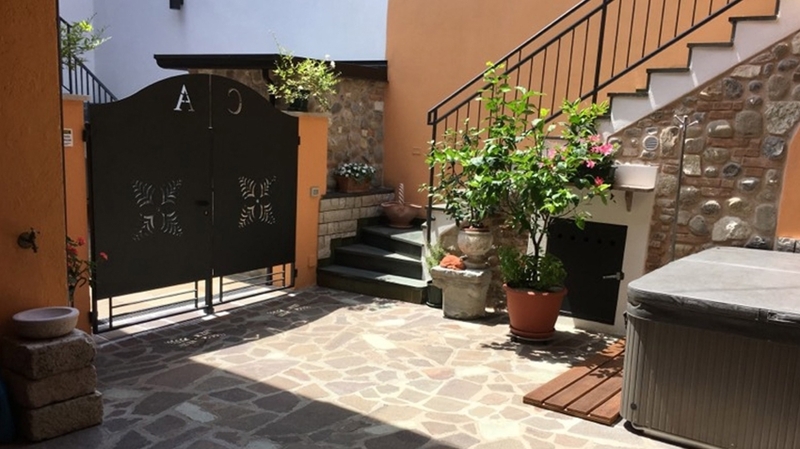 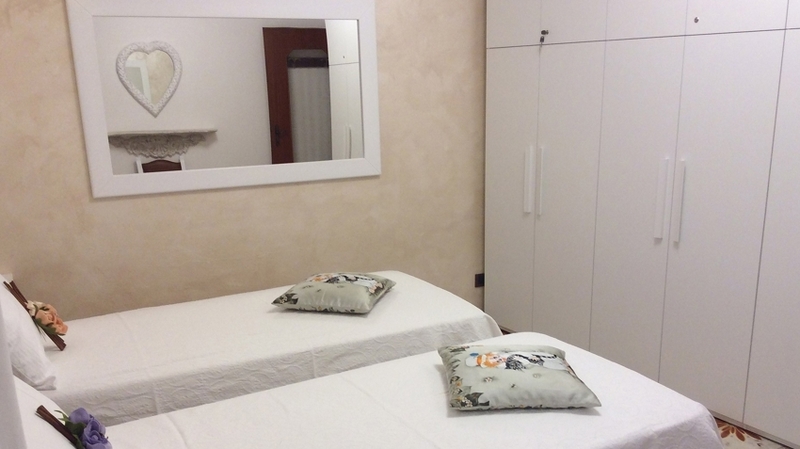 The apartment of Casa Vacanze Agnese is located in the historical centre of Portese, a hamlet of San Felice del Benaco. 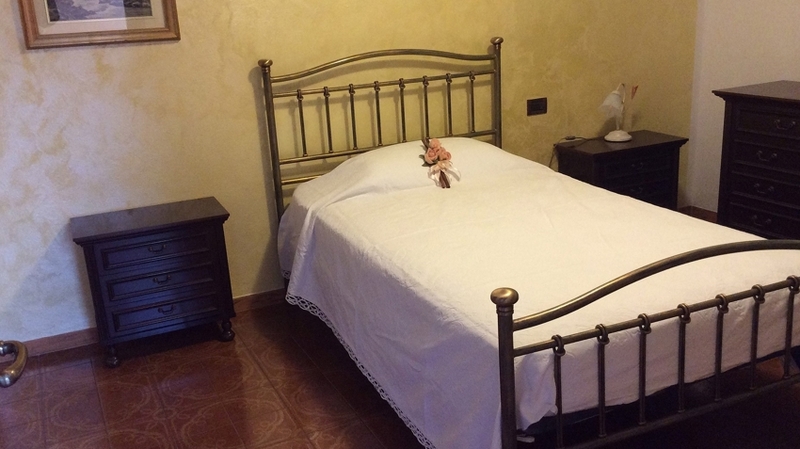 Thanks to the position on a headland, the locality is a good starting point for excursions. 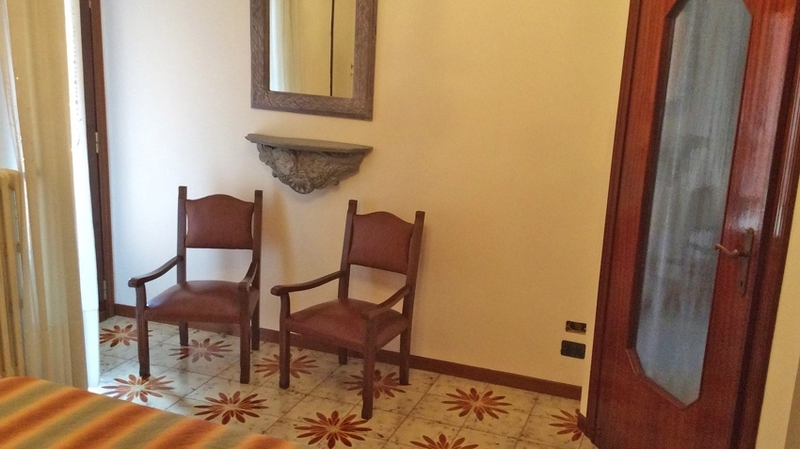 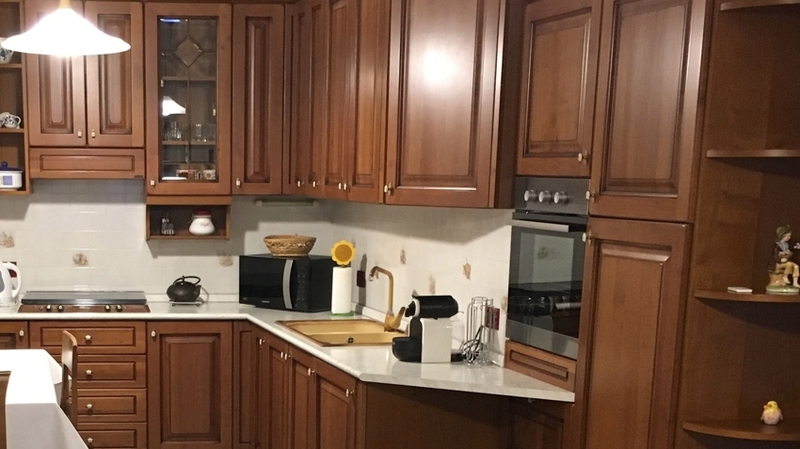 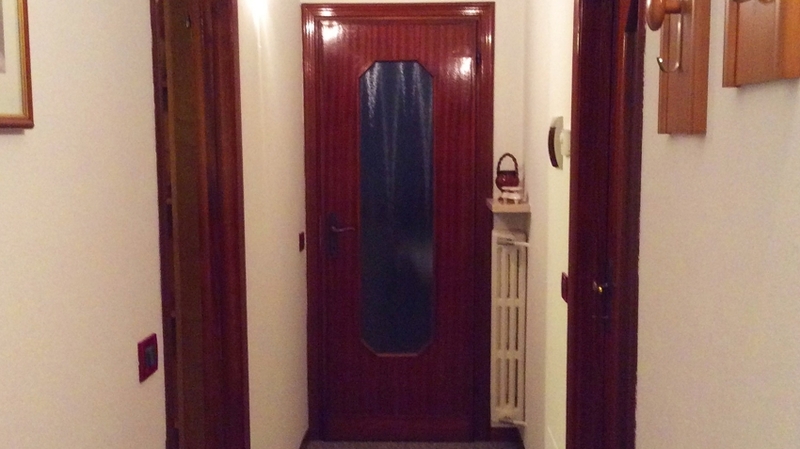 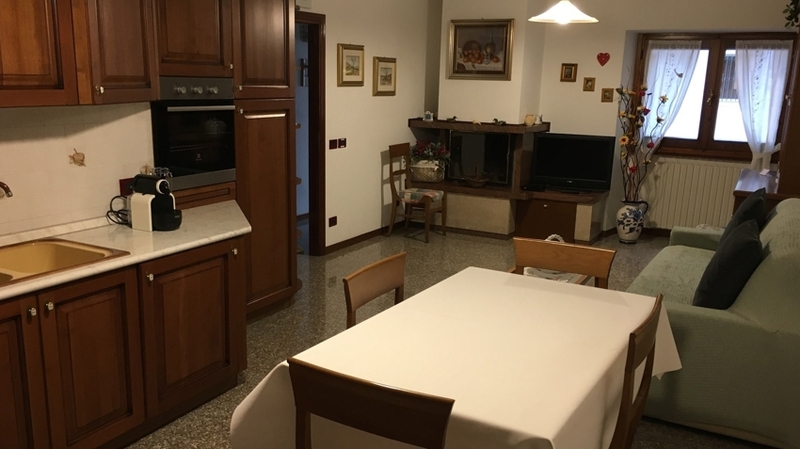 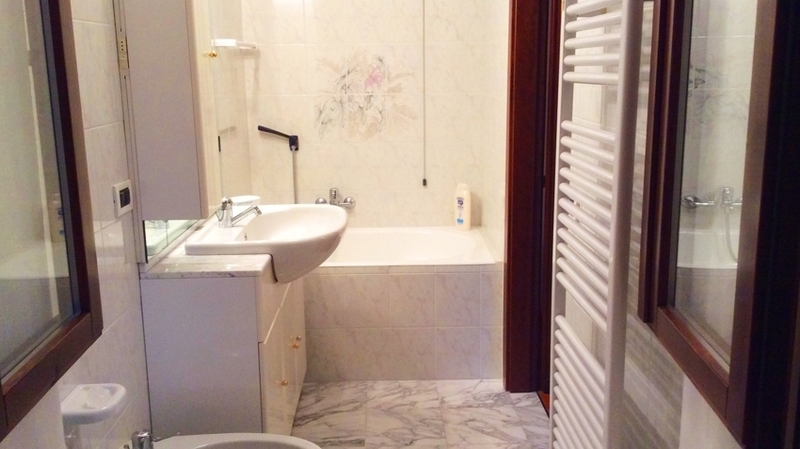 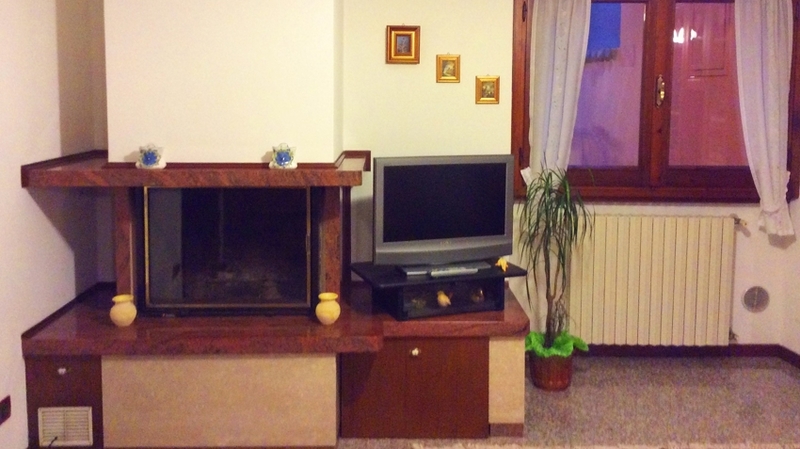 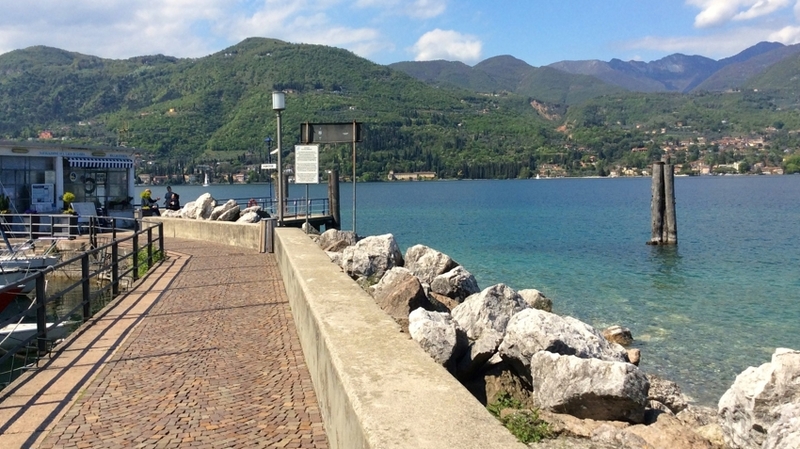 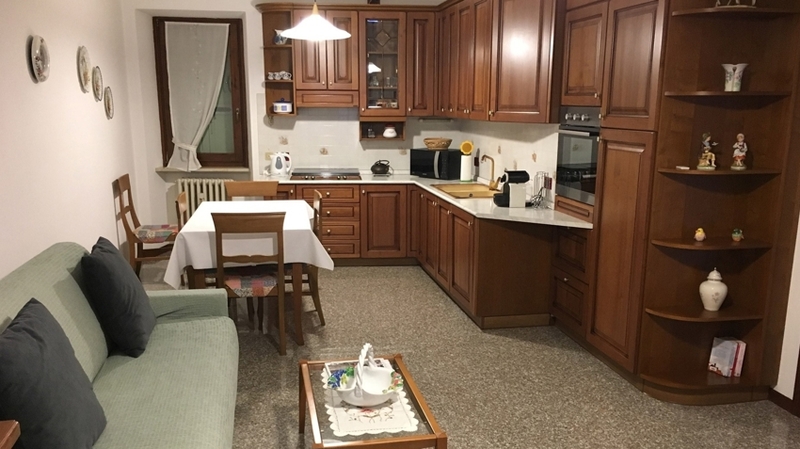 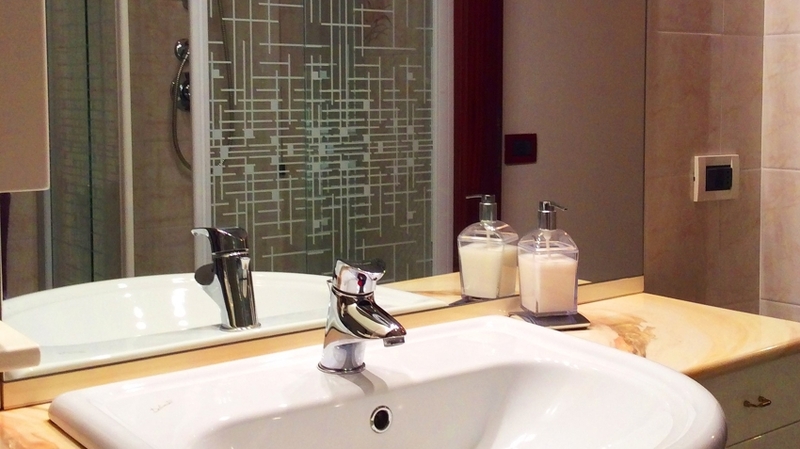 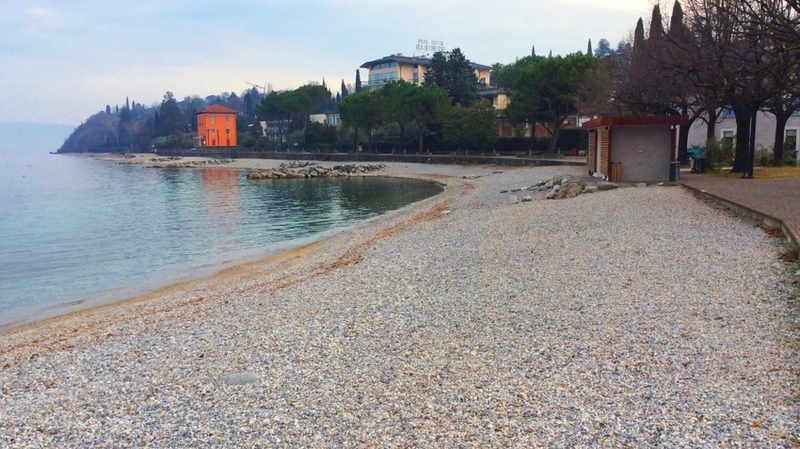 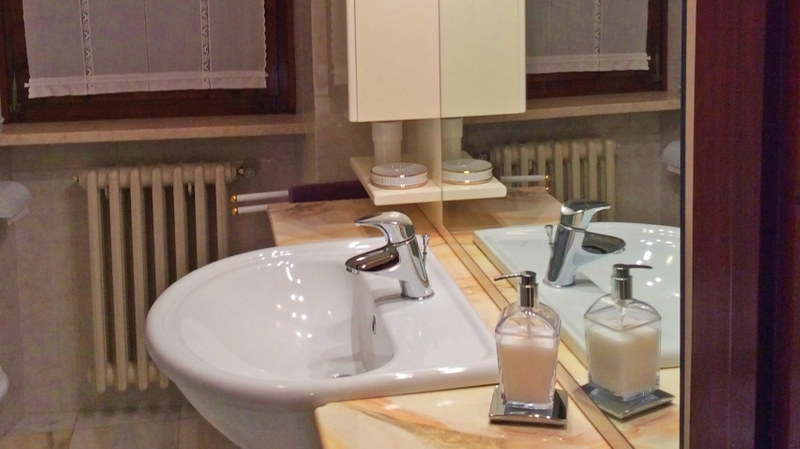 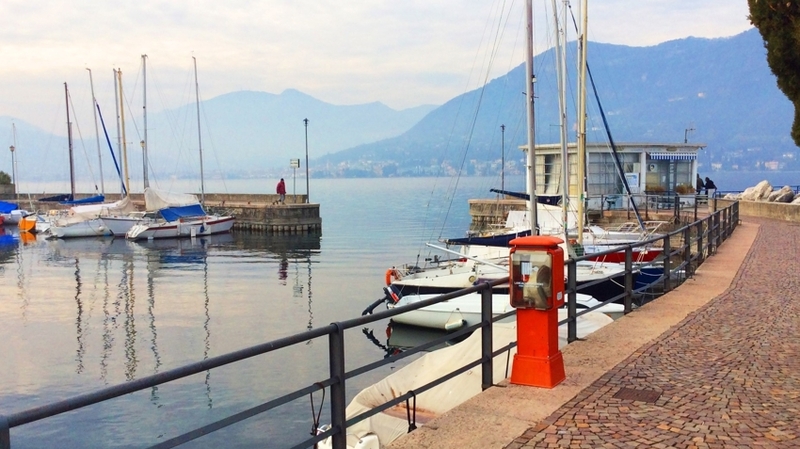 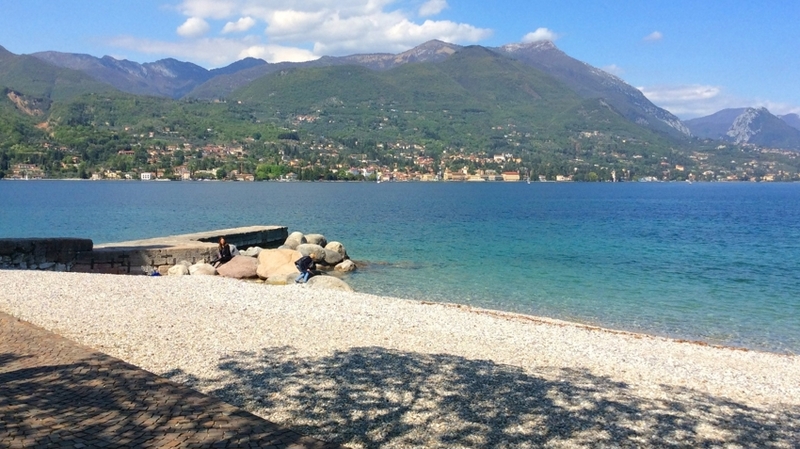 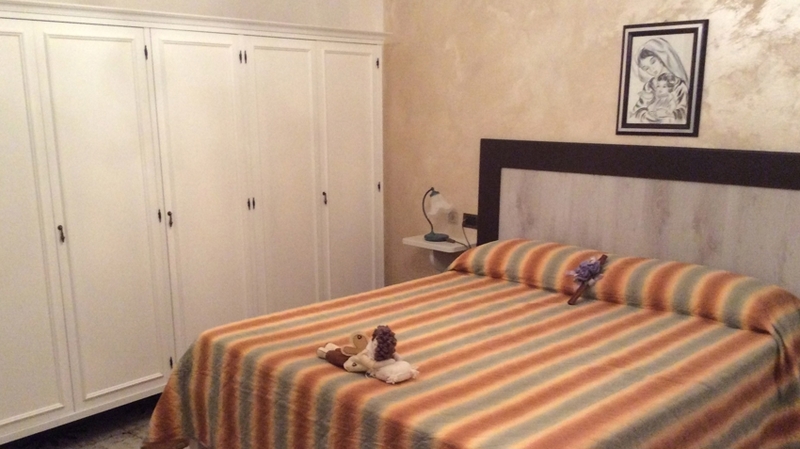 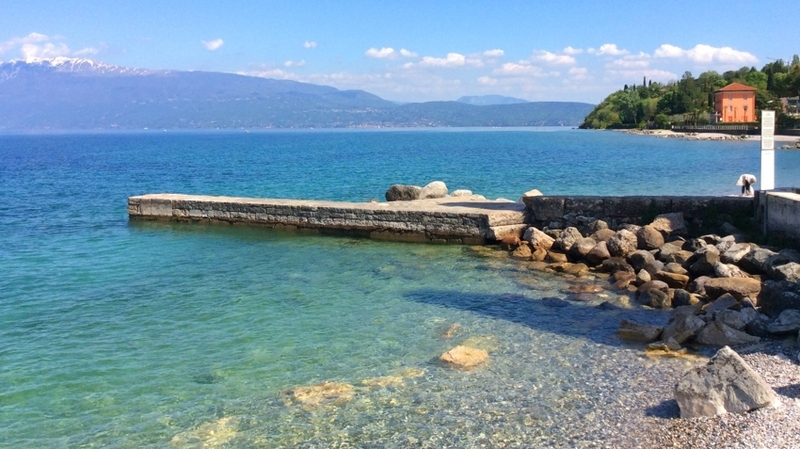 The apartment is situated only 500 m from Lake Garda and from the harbour of Portese. 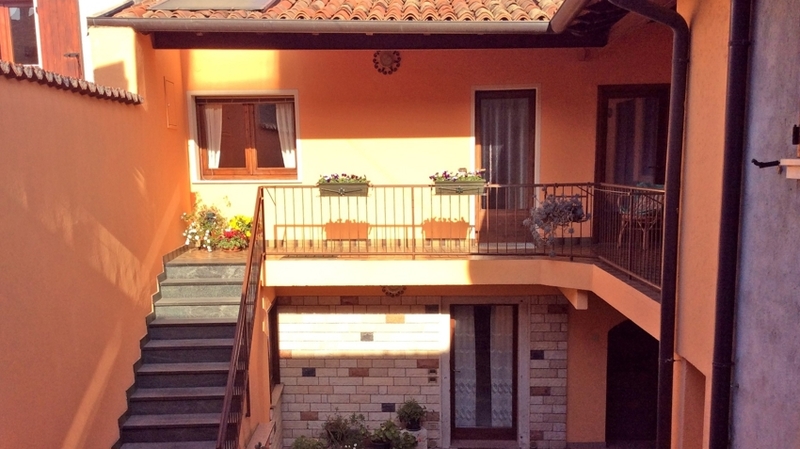 The guests of Casa Vacanze Agnese in Portese will spend their holidays in a cosy apartment on the first floor that is surrounded by a 120 m² terrace- The apartment has a double room, a single room with French bed and a double room with two single beds, two bathrooms – one with a shower and the other with a bathtub – and a large living room with fully equipped kitchen, coffee machine, microwave and dishwasher. 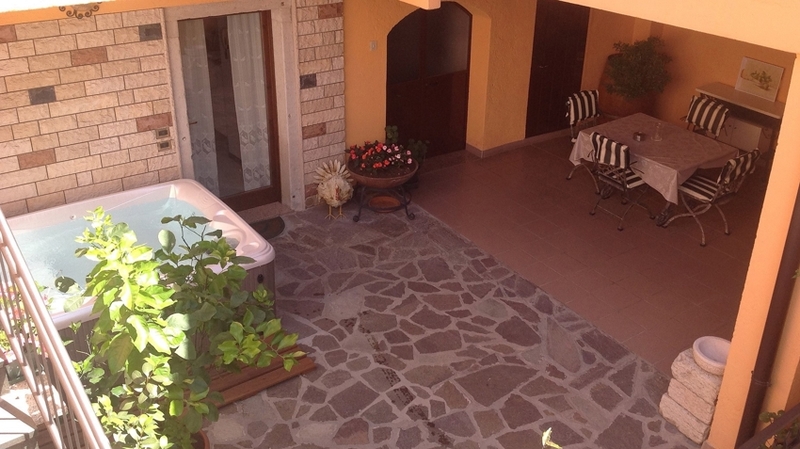 In the courtyard on the ground floor, there is a whirlpool and a covered sitting area with table and chairs. 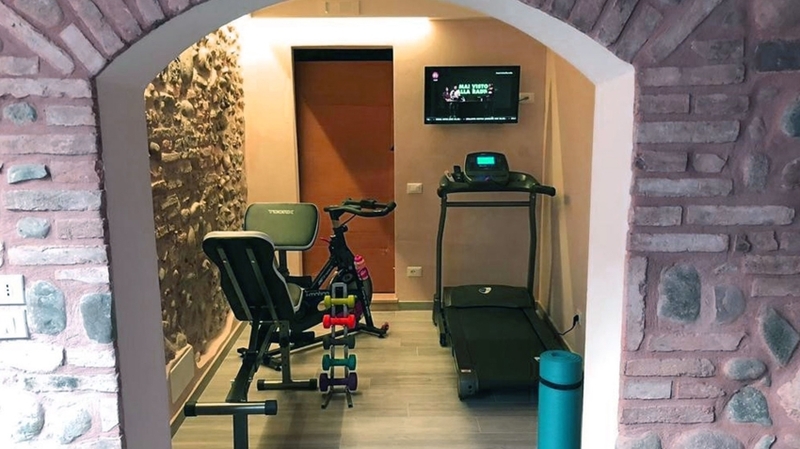 A small fitness room as well as a bike storage and bike for rental are available too. 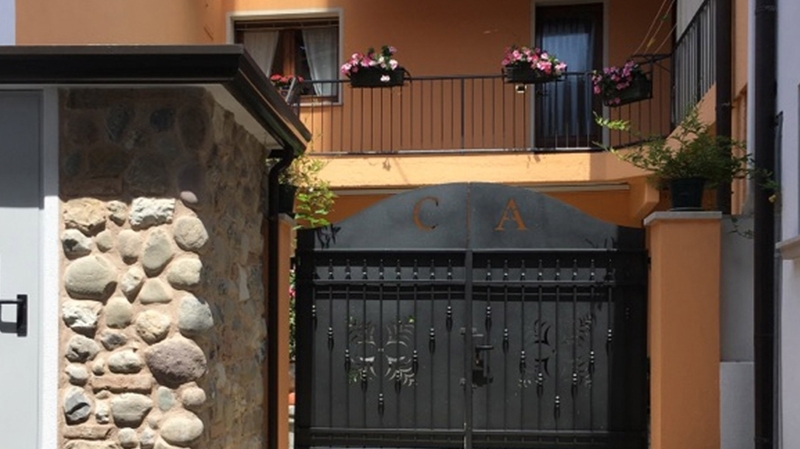 The car parking is situated only about 80 m from the house. 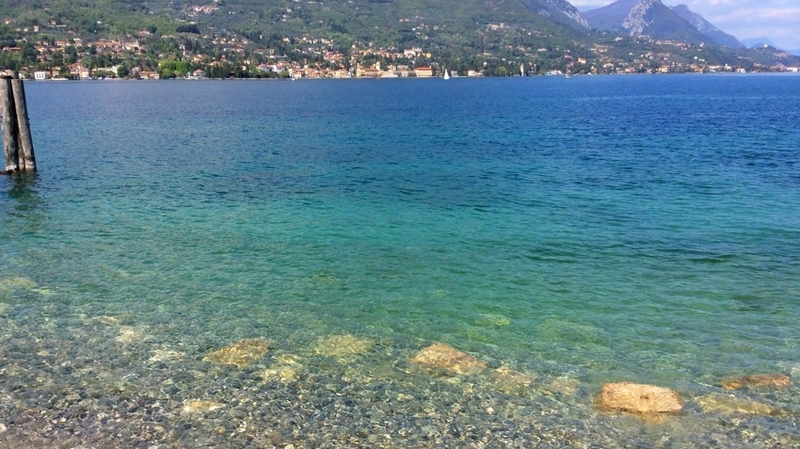 Portese in San Felice del Benaco is the ideal holiday resort for all those who would like to discover the picturesque Lake Garda and its numerous sights. 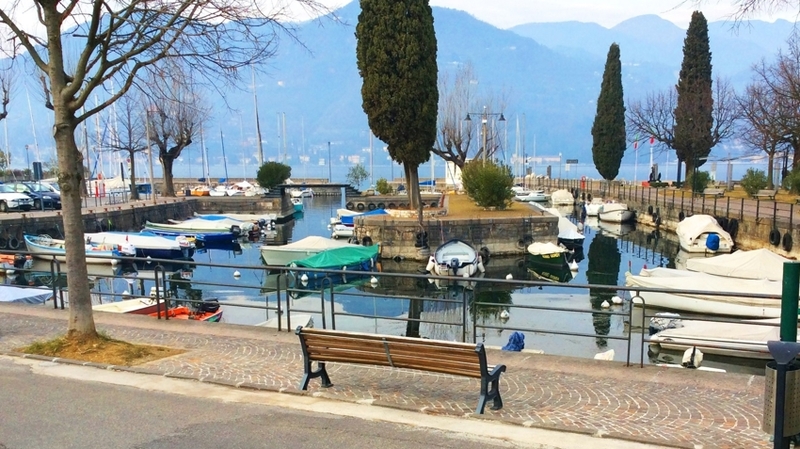 An excursion to the nearby Isola del Garda is an absolute highlight, with boats starting directly from the harbour of Portese. 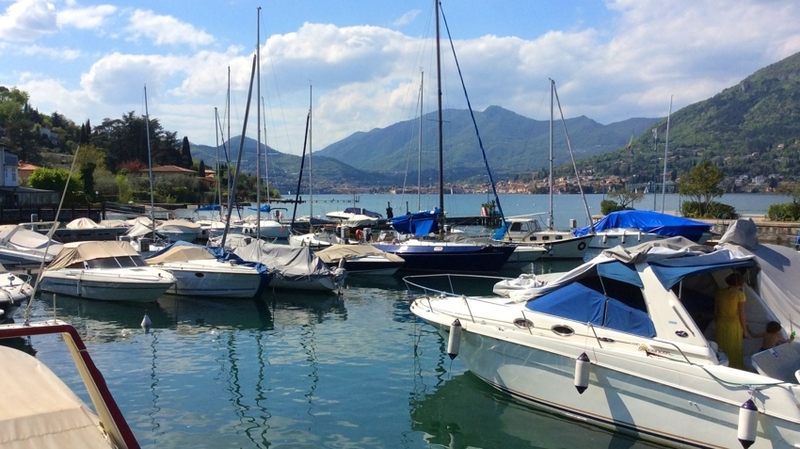 Gourmets will look forward to the excellent restaurants in the village offering typical regional dishes and fresh fish of Lake Garda. 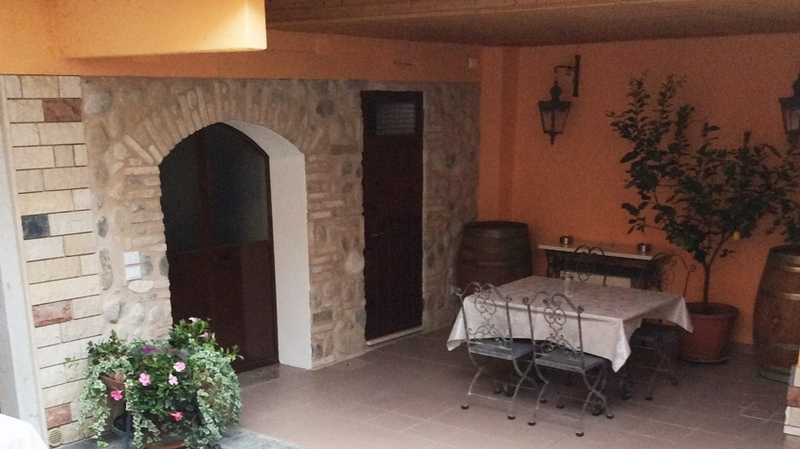 In the surroundings, you will alos find numerous vineyards and olive groves that are worth a visit as well. 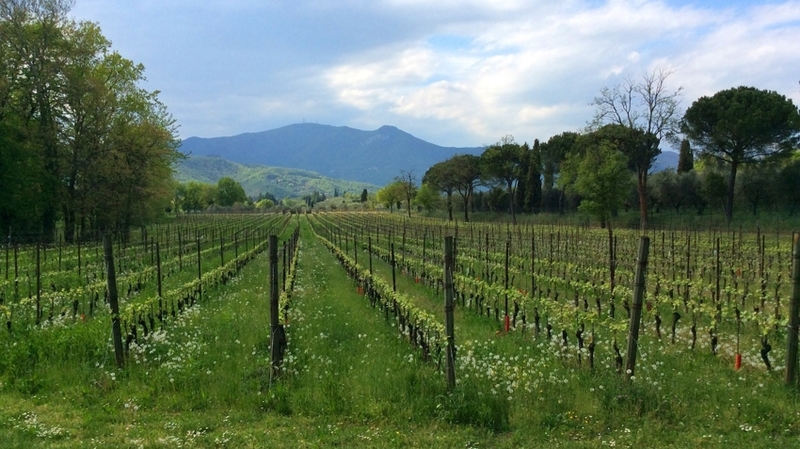 Here, you can enjoy and buy excellent wines and high-quality oils.